They spent a year getting her strong enough for this moment. It took over a year for a very shy and very special little animal to get strong enough to be wild again — and it's thanks to the many people who cared about her that she's finally free again today. 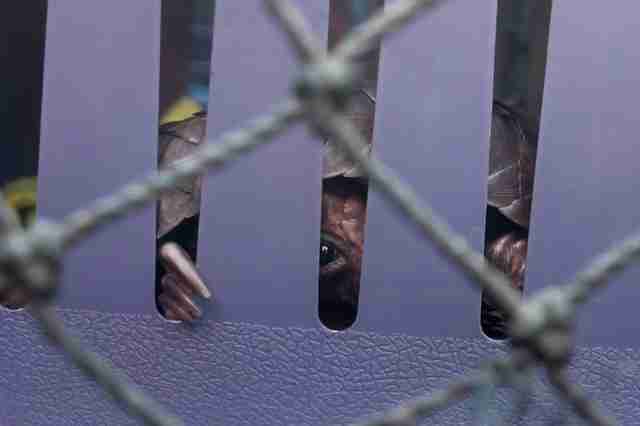 Earlier this month, she was carried into the forest by the people who helped her, and she kept a close watch on the scenery, through the slats, as if she knew she was going back home. She'd come a long way since authorities caught hunters with the endangered pangolin — and it's the first time a pangolin has been confiscated in Liberia still alive, according to Jenny Desmond, who helped with the rescue and is the cofounder of Liberia Chimpanzee Rescue and Protection (LCRP). "They're sold here live on the streets of Monrovia," Desmond told The Dodo, adding that pangolin meat is served at restaurants and then their scales are often shipped to the Far East, where they're considered medicinal. "Our law enforcement task force is currently putting systems in place to combat this ASAP." 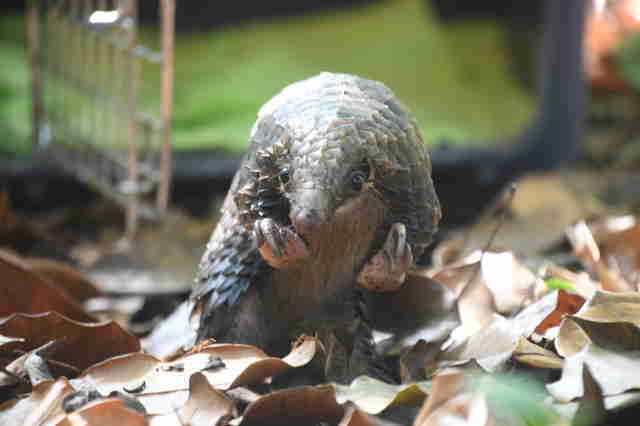 The little pangolin was brought to Libassa Wildlife Sanctuary (LiWiSa), where Julie Vanassche, then-manager of the sanctuary, was tasked with rehabilitating her. She named her Lies (pronounced Lease), after a friend from Belgium. But Vanassche hadn't ever rescued or rehabilitated a pangolin before — and Lies was visibly scared and stressed after what she'd been through. Vanassche needed some expert help, so she contacted Lisa Hywood, from the Tikki Hywood Foundation (THF) in Zimbabwe. 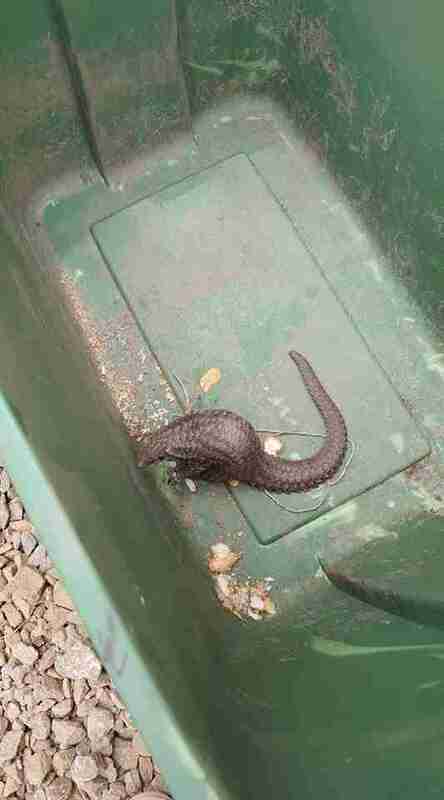 "Julie and I talked [about the] pangolin daily," Hywood said. Hywood and Vanassche also got to meet Desmond and her rescued chimpanzees — and at the heart of everything was the little pangolin. "We have all created a lifetime bond which will I believe only become stronger over time and together we will continue to save multiple species including the pangolin," Hywood said. "We all came to meet up with one another through the rescue of this one little lady, Lies!" 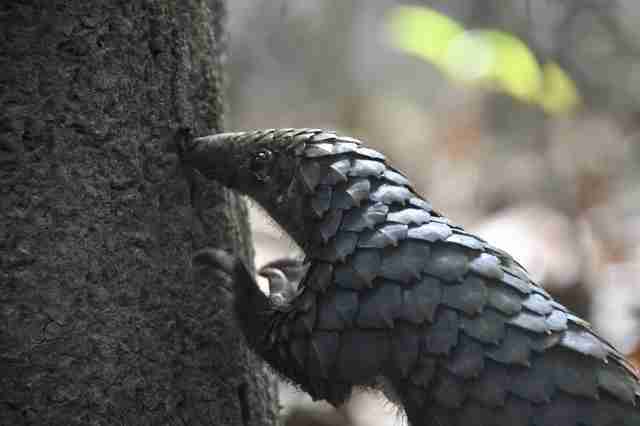 It was lucky Lies had so many people determined to save her, since so many pangolins aren't so fortunate. In fact, pangolins are considered the most highly trafficked mammal on the planet, because of demands for their meat and scales. It's estimated that one million pangolins have been killed in the last decade — maybe more. As time passed at the sanctuary, it was clear Vanassche was getting the hang of hand-raising Lies. 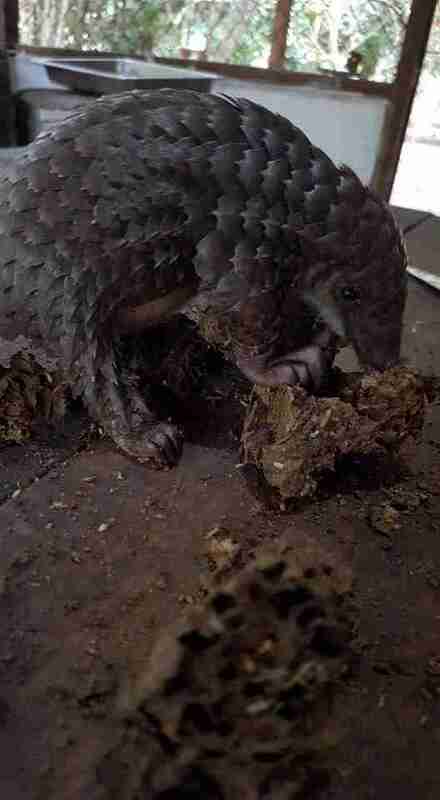 The pangolin, who was just an infant when she was found, started happily eating her tasty first meals (of ants) at LiWiSa, and she started getting bigger and stronger. After a year of love and care at the sanctuary, it was clear Lies was ready to be out on her own again. "She spent most of the last year being 'walked' multiple times a day by her Liberian caregiver, Angie," Desmond said. "She became a very independent young lady." So soon it became time for her carers to say goodbye to Lies. They carried her deep into the forest and opened her little crate. 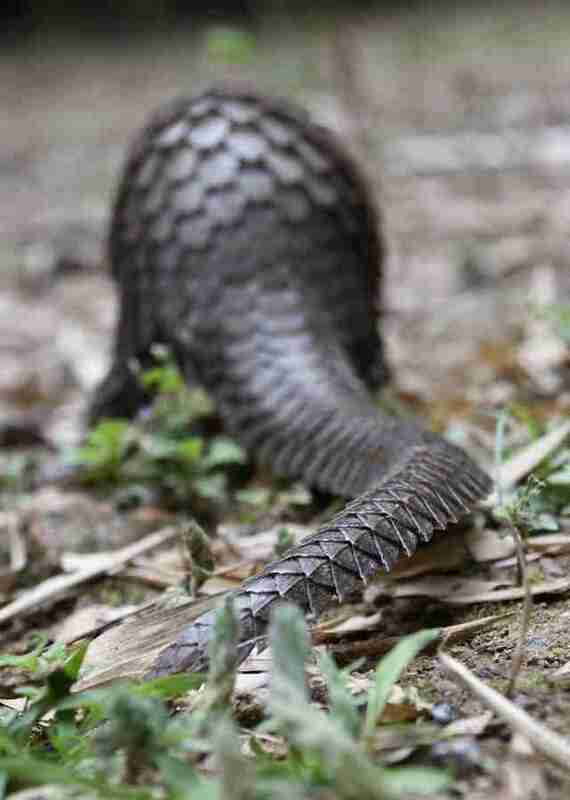 The curious pangolin stepped out onto the lush forest floor and seemed to perk up immediately. She sniffed a nearby tree for some tasty ants. And soon enough she disappeared into the woods. "After a very lengthy and labor-intensive rehabilitation process, it surely didn't take long for Lies to find her dinner and take off into the forest!" Desmond wrote on Facebook. The people who saved Lies' life — from LiWiSa, THF, LCRP and the Forestry Development Authority (FDA) of Liberia — plan to work together much more in the future, to save the lives of many more pangolins who need help. "She is now back in the forest on LCRP’s new land," Desmond said, "free and wild and with TONS of ants!" 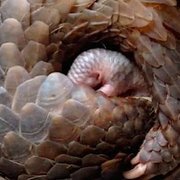 To help save more pangolins like Lies, you can make donations to LiWiSa, LCRP or THF.